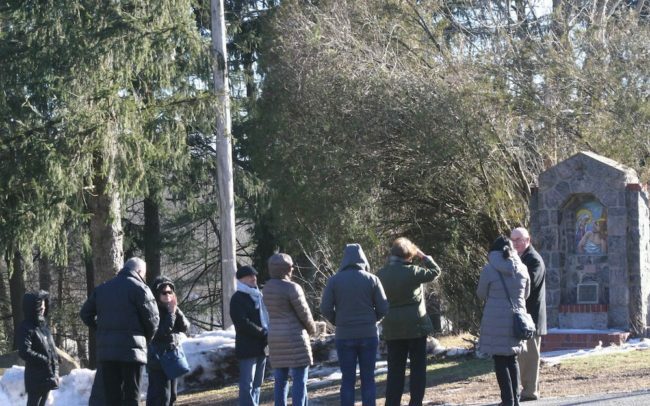 On February 15, 2019, 28 adventurous Catholics from St. Francis of Assisi bravely crossed the Hudson River and traveled to the “wilds” of Central New Jersey for a weekend of prayer and community. 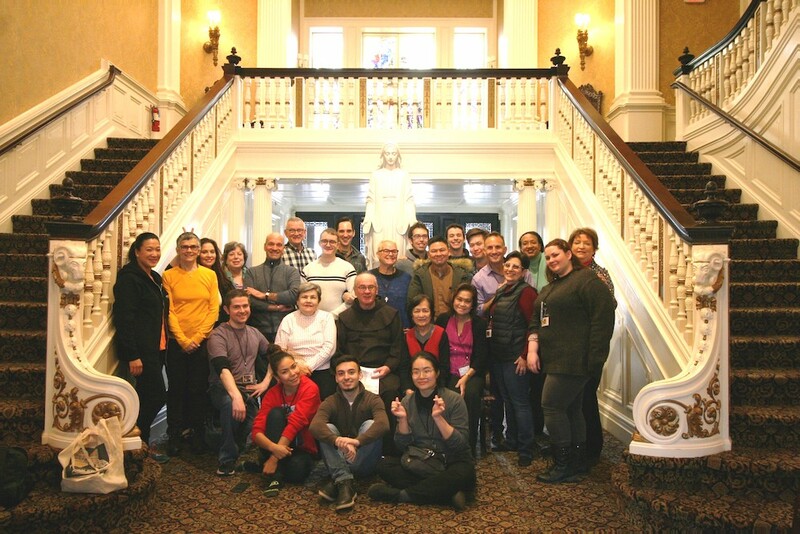 The event marked the St. Francis Volunteer Retreat at the Loyola Jesuit Center in the quaint hamlet of Morristown, New Jersey. 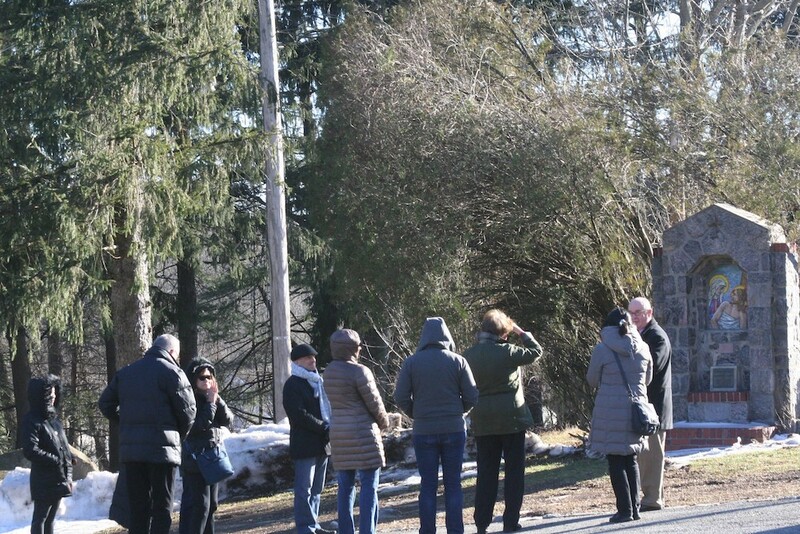 The center is located on the sprawling former estate of the Foote Family, replete with mahogany and marble staircases, crystal chandeliers, English gardens, and outdoor Stations of the Cross – all majestically set on 30 acres of woodland. Loyola provided the perfect backdrop for spiritual renewal and reflection for the dynamic group of “cityfied” parishioners. Fr. Andrew Reitz, O.F.M. 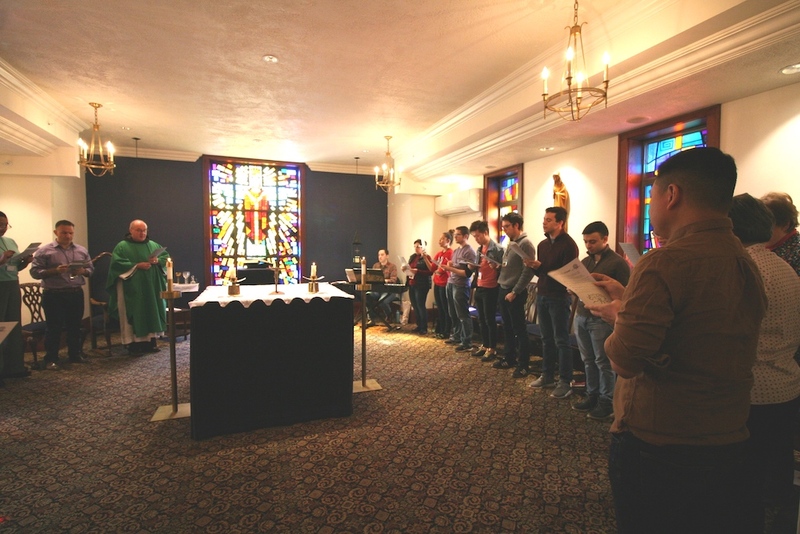 presided over Morning and Evening Prayer, a Reconciliation Service, and Sunday Mass. Music was provided by Eric Sweeney, a member of the St. Francis Choir. 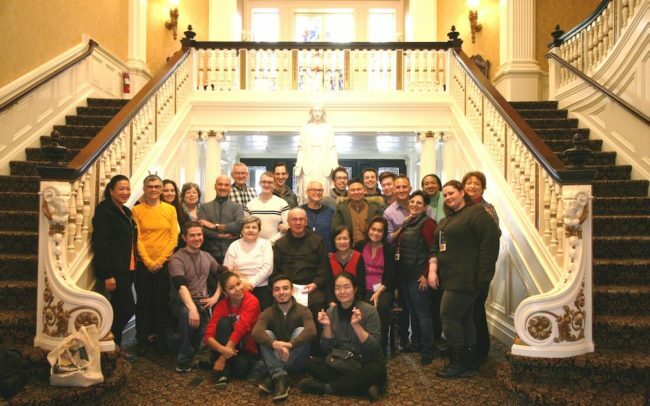 The retreat was organized by Joseph Nuzzi, Director of Evangeliza- tion at St. Francis, with the goal of gathering together volunteers from the RCIA, Young Adult, Liturgical, Hospitality, LGBTQ, Migrant Center, and Filipino ministries at St. Francis. 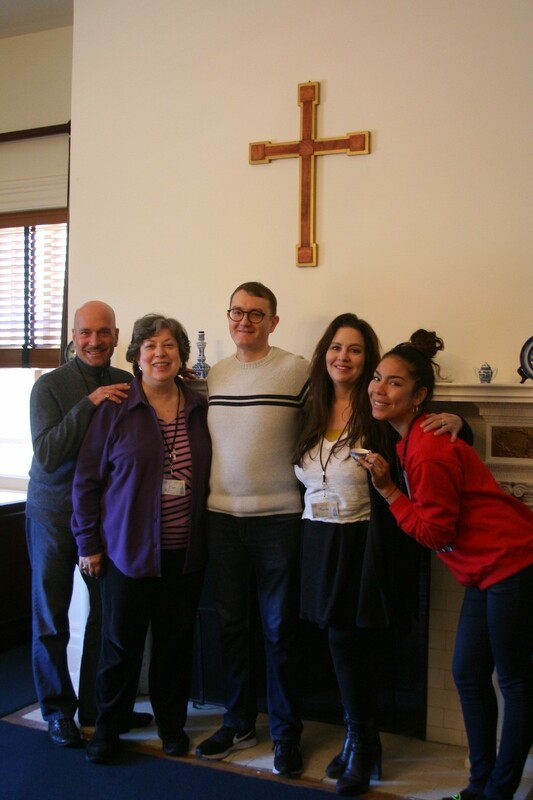 The weekend’s theme was “Passing the Baton of Faith.” Joe, assisted by Fr. 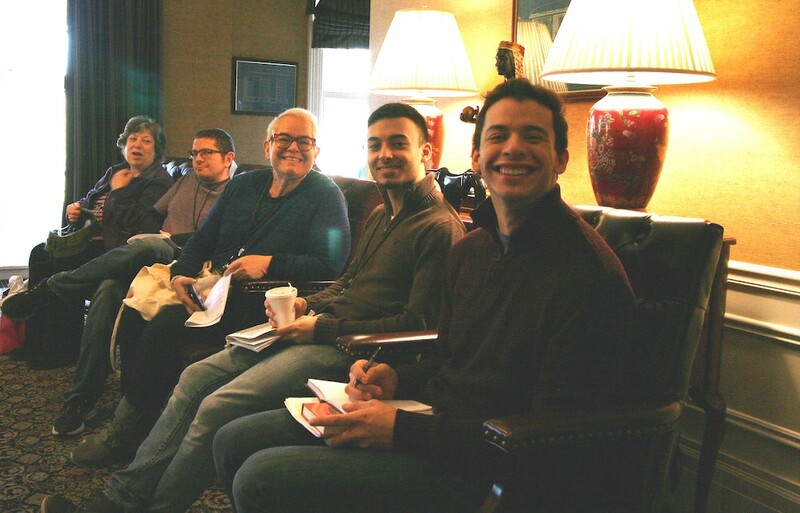 Andrew, Ed Trochimczuk, Director of Volunteer Ministry, and Jennifer Wiler (RCIA and Young Adult team member), asked those gathered to reflect in their journals and their small groups on their journey of Faith. Share how the faith came to you. 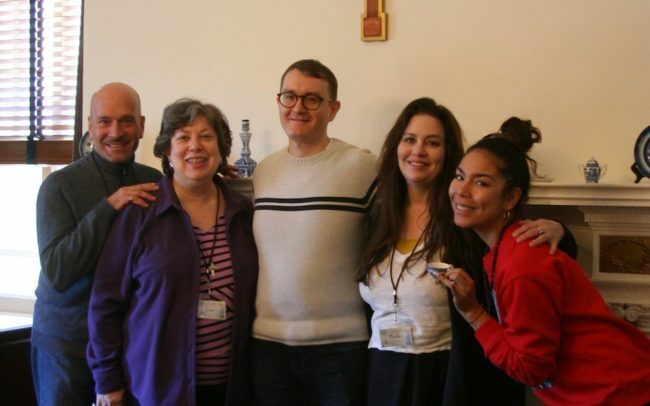 Who are the people who have helped you come to know God and Christ? Who do you take inspiration from today? How grounded do you feel in your faith right now? 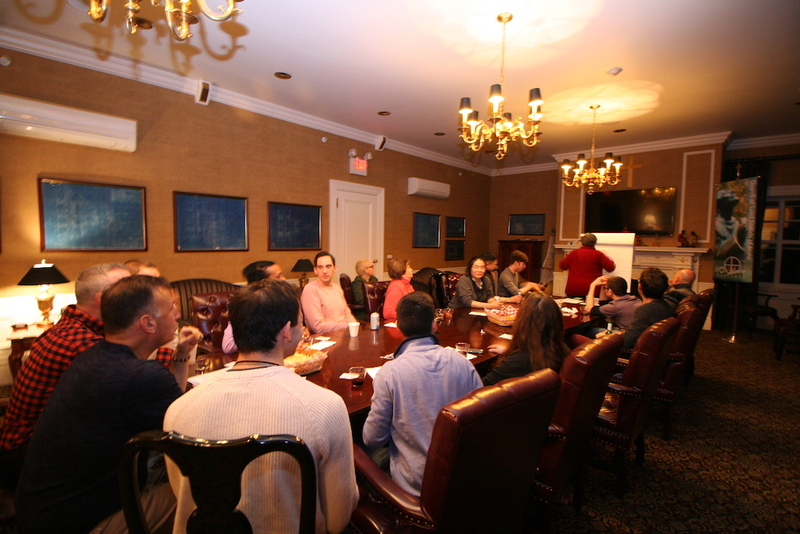 As the weekend came to an end, the mood of participants was joyful and inspired. New friendships had been born, and camaraderie was high. We were reminded that through each other – our community of Faith – we can find strength and hope to face whatever challenges life may bring. Our task is to continue to pass the baton of our Faith forward as others have done for us. We left the idyllic landscape and returned to the “concrete jungle” that many in attendance call “home,” full of the love of Christ and resolute in our mission to embody His Word. Until next year, that is!